surgery | meldewdesigns - Paper Craft Central! By three different doctors that I should amputate from the knee down. That I would never walk again. 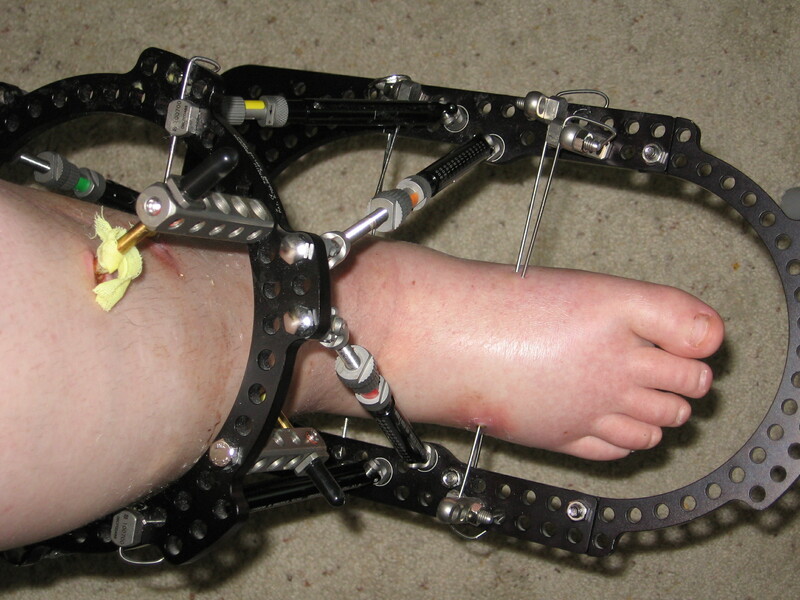 That if I DID walk again (and that was a big IF), I would always have to wear a brace. Walking barefoot or with a regular shoe (no brace) would NEVER be an option for me. Guess what? I am walking and I do it barefoot and I do it in a regular shoe (NO BRACE). How’s that for a miracle? Being that it is Easter today and Easter is a celebration of a miracle in itself, I thought it was only fitting that I sit and write about another miracle! My point? No matter how hard life hits you, no matter what you are going through, no matter how bad things look, no matter what glim outcome you are given – NEVER give up!! Been off my right foot since October!! Had surgery June 10th of this year and woke up with this contraption on. Check it out though…Yesterday, I got this thing they call a “skate” that has a sole so that I can walk on it. I very carefully took my first steps yesterday!! YAY! Here are a couple of pics of the skate. On June 10th of this year, I had surgery on my ankle, expecting to wake up with a cast that I would wear for 3 months. 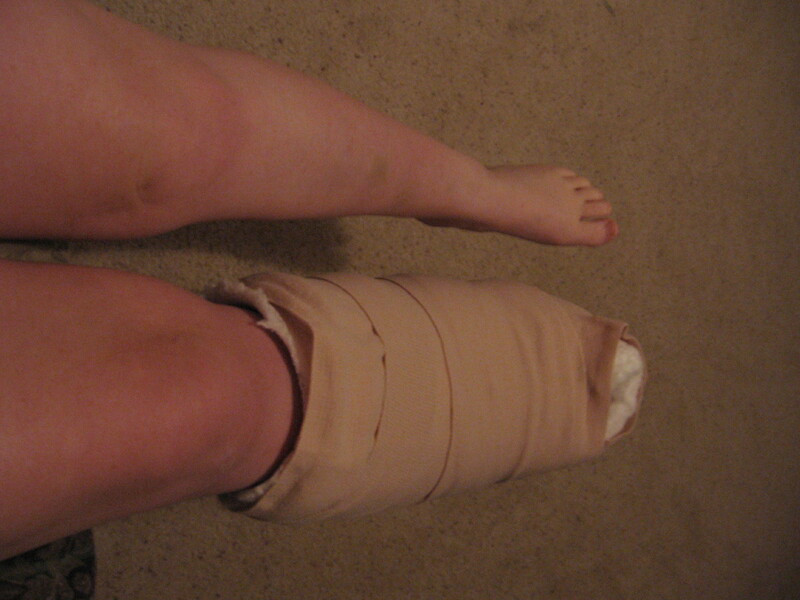 Instead, I woke with this contraption on, but I will only have to wear it for TWO months. I’ve already worn it for one month, so I am halfway done!! 🙂 Nasty, huh? I think it’s pretty interesting though! Been home from having minor surgery and will be home from work for a few weeks. So since I have all this free time on my hands, I will be creating all kinds of fun things to list on Etsy. Keep checking in for some great finds! !